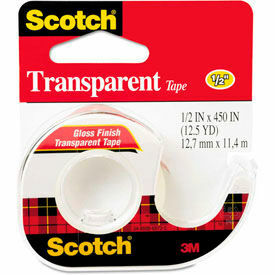 Scotch® Office Tape Is Used For All Offices, Homes, Schools And More. 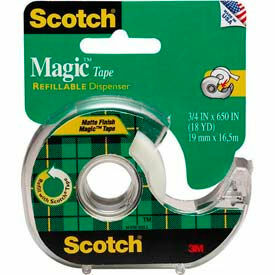 Scotch® Magic™ Tape has the original matte finish providing invisible taping. Texture allows writing on tape in pen, pencil or marker. Photo safe. Will not dry out or yellow. Available as Book Tape, Double Sided Tape, Double Sided Tape With Dispenser, Labeling and Cover-up Tape, Magic™ Tape, Magic™ Tape with Deispenser, Moving & Storage Packaging Tape, Premium Transparent Film Tape, Removable Tape, Shipping Packaging Tape, Shipping Packaging Tape with Dispenser, Transparent Tape, Transparent Tape with Dispenser and Wall Mounting Tape. Dimensions vary. Glues & Tapes Are Used For A Variety Of Craft Applications Requiring Reliable Adhesion. Glues & Tapes are made in a variety of styles and configurations for greater versatility. Features specially-formulated adhesives to bond strongly for superior performance. Can be removed easily without damaging surfaces for added reliability. Available styles include All Purpose Glue Dots, All Purpose Glue Liquid Formula, Applique Drafting Film, Drafting Dots, Dual Melt High/Low Temp Glue Gun, Glue Dot Dispenser Gun, Glue Stick/Tapes, Wood Tape Holder and more. Dimensions and package quantities vary per model. Removable Tape Allows Documents To Be Affixed To One Another Without A Permanent Bond. Scotch® Removable Tape is perfect for projects that involve positioning and repositioning of documents and papers. Tape may be written upon with pen, pencil or marker. 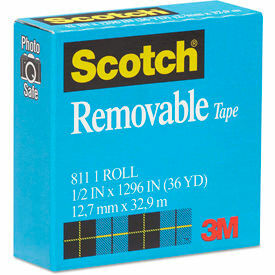 Scotch® Removable Tape rolls measure 1296" long. Available in single roll or two-roll packs. Transparent Tape Is The Perfect Multi-Purpose Tape For Offices, Classrooms, Studios And More. 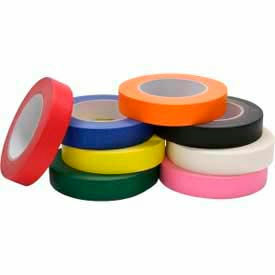 Transparent Tape provides excellent holding power and instant adhesion on all sorts of surfaces. Tape is stain- and moisture-resistant, as well as photo-safe. Transparent tape is available in rolls with dispenser, or non-mounted rolls for use with a desktop dispenser. Choose from trusted brand names Scotch® and Highland®. Seals packages securely. 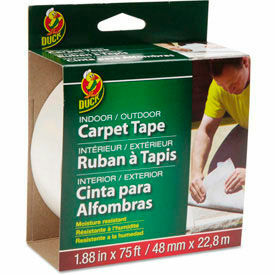 Tape Type: Packaging; Thickness: 2.6 mil; Size: 1.88" x 25 yds; Core Size: 1 1/2". Double Stick Tape Is Perfect For Mounting Photos, Documents, And More. Double Stick Tape features a permanent adhesive layer on both sides. Tape is acid-free. 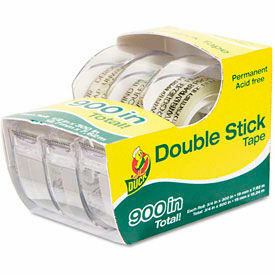 Double Stick Tape is 1/2"W x 900"L with 1" core size. Sold in single rolls or in a three-pack.